This may be completely beside the point, but I remember from doing electrical engineering as part of my apprenticeship, such factors as the permittivity and the permeability of free space. I recall at the time wondering that if free space has a natural capacitance and inductance then it ought to have a natural resonant frequency, but never bothered to take it further as it was a very busy time for a sixteen-year-old. But to this day I do not think that space is ’empty’ as any given volume of free space must contain electrical, magnetic, gravitational fields, plus countless photons at all energy-levels, crossing through in all directions. And, at that time I never really bought the Michelson -Morley result, as I had the idea that light was a self-perpetuating single travelling vibration in the space-field, like a soliton but maybe in the along-axis torsional mode to make it more like a spinning bullet, or perhaps a smoke-ring. Indeed, as light is reflected by surfaces, there must be modes of vibration of atoms and molecules that are not discovered even today. How about torsions? And then, whilst we have electrical and magnetic and gravitational fields, why not other fields as yet undiscovered, that would support the propagation of solitons that we literally see? It might be interesting to think of the kind of field that would be needed. Maybe there are certain existing phenomena that could give a clue, in the same way that the observation of rubbing amber to attract bits of paper opened up the whole idea of an electric field. Hi Tony, and welcome to the site. I like your thinking, and indeed the history of ‘Natural Philosophy’ is peppered with ideas about the nature of the ether. Some held it was a highly tensile, springy medium which transmitted the ‘action at a distance’ forces like gravity across space, and and at the same time was so tenuous that the Earth would pass straight through it. Others though it more as gaseous fluid, which would be swirling around planets as they passed through it. The now vindicated Miller results seem to confirm the latter view, which would indicate the ether is composed of particles of some sort, which are blocked by shielding around interferometers and everything else. Of course, permissivity values used in practical design work here on Earth take into account the gases of the terrestrial atmosphere. There is a half baked but nonetheless interesting alternative Aether Physics Theory out there which gets down and dirty with the maths. Space with consistency and electromagnetic permeability is catching on due to these types of measurements. Yu. M. Galaev is on target, in terms that fit the RQT (Relative Quantum Topological) physics cosmic model. Tallblok; be careful for what you wish. It has charge; that is, it repels it’s self as an “electron” would repel an “electron”. It is supra magnetic; that is, it is influenced by magnetic forces. It is naturally in chaos; that is, each unit (quanta) maybe in 3 dimensional motion or spin. It is energy carrier quanta; that is, quanta described as electrons,photons,neutrinos,etc. It is the carrier of EMF (Electro Motive Force); that is, all electrical and magnetic fields. It is the cause of Inertia/Mass;that is,the resistance to change in motion. It is the foundation; that is, when organized into a real singularity, it is a proton. An explanation of the above description of aether. It has charge; that is, it repels it’s self as an “electron” would repel an “electron”. Charge is a force field (+/-), an excess of which is negative and a shortage is positive, or in solid state, electron (-) and hole (+). Like charges repel and unlike charges attract. The aether exhibits characteristics of charge. Morley claimed that the aether gave a light wave speed equal to an atmosphere compressed to 10,000 psi. The “dark” force of astrophysics. It is supra magnetic; that is, it is influenced by magnetic forces. The aetheral quanta will align it’s magnetic spin under magnetic influence as in magnet north to south alignment. Every line of alignment will cause a adjacent counter alignment that causes adjacent counter alignments and so on. Lines of force. Organization out of chaos until the energy is used up, countered or dissipated. It is naturally in chaos; that is, each unit (quanta) maybe in 3 dimensional motion or spin. Any EMF pulse will change the motion to align with the pulse effecting it. Organization passing through chaos. It is energy carrier quanta; that is, quanta described as electrons,photons,neutrinos,etc. The description of different quanta is dependent on EMF signature or appearance in the test equipment. Different signature, different partical discovery. Different spin and different angular velocity equal different EMF characteristics and mass/inertia. A single spin = static electron, spin and travel = electron, spin and tumble (second spin) and travel = photon, travel and little or no spin = neutrino. Actually there is little or no real travel only the energy signal travels and is adsorbed by the test equipment. Waves of energy that look like particals, or particals that behave as waves. It is the carrier of EMF (Electro Motive Force); that is, all electrical and magnetic fields. When a charge is in motion it shows up as an object or thing . At complete rest it disappears. It is the cause of Inertia/Mass;that is,the resistance to change in motion. This is the important part for me . Just as a spinning gyro is very resistant to change in position in one dimension, aetherial quanta spin in 3 dimensions and resist change in change in motion, fields countering fields. The more relative angular motion the more relative mass/inertia. Remember an object that is accelerated becomes more massive and takes more energy to move it in the opposite direction. It’ is all relative from your point of view. It is the foundation; that is, when organized into a real singularity, it is a proton with electron shell, a force field not a partical, if that field moves into the proton it gains mass and appears to have a charged skin and is called a neutron. I developed the above point of view to assist me in my work toward manipulation of inertia/mass and gravity. You know the stuff that Albert Einstein was working on when he got sidetrack into relativity and quantum machanics. I at least have an additional 100 years of experimental data to work with and a life time of applied science experience. It’s a good exercise for the mind to be able to handle different ways of conceiving the makeup of the cosmos. Although ideas about the aether seem whacky to those brought up in the world of standard education in this day and age, it’s not so long ago that it was an integral part of understanding the transmission of force. Makes more sense to me than that spooky action at a distance stuff. The simplest single proton is the hydrogen ion. They like to gather together in pairs, which then become invisible to our spectrometers and telescopes. There’s a lot of it out there. The Sun chucks out enormous quantities of it continually. The concept that the stellar forge is the source of hydrogen rather then a consumer of it is of great interest to me as it would solve 2 points of aetheral to hydrogen and gravity from matter in aether. Energy moves from high concentration towards low. Gravity appears to move from low concentration in space towards high concentration in matter. If highly charged, high pressure aether is moving towards low charge ( positive ) matter in the solar forge where hydrogen is being created, gravity is solved. Anyone out there have an opinion? My thinking on this is that the aether does exist. It is composed of a ubiquitous E/M field carried by the thin plasma of partly ionised matter that pervades the whole of space. It is most dense near stars. This pervasive EM field repels matter and is responsible for accelerating the ‘stellar wind’ far out into space. Without this effect, gravity would cause the Universe to collapse in on itself due to gravity. Good to see different thoughts about this topic. Thanks all for your views. ‘…..Big Bang is vague theory based on shaky physical evidence but always asserted with a dash of arrogance and a refusal to consider any other scientific reality.. that’s called superstition. A lot of assumption has gone into the silly “big bang” cartoon to make it believable.. including dark matter which can’t be directly measured and an assumption of a sudden gigantic universe explosion from a point of vague nothingness which can’t be scientifically described. Even Stephen Hawkings says the moment of “singularity” of the “big bang” wouldn’t obey the laws of Einstein and relativity. The short age of the universe according to earth scientists is based only on the fartherest stars that can be observed from earth telescopes. The indoctrination is so deep even educated people just quote “the big bang” as though it’s fact.. saying anything else is the case is heresy and violates their religion. Um, the link above now gives a paper titled “Experimental Evidence of the Microwave Background Radiation Through the Thermal Radiation of Metagalaxy Stars” by V.S. Troitskij, V.I. Aleshin. Never Mind…. It’s the same text; but looking further down I find that the referenced article is the SECOND article in the publication…. OK, didn’t expect that. But at least you got a link to a load of other positive results in aether measurement…. Hi E.M., nice to see you call by. If you scroll down to page 17 of the pdf at that link, you should find the Galaev paper. Your website is fascinating. I remember years ago a person I worked with mentioned the existence of the ether as a real possibility. I dismissed it as a quaint notion at the time. Little did I suspect that so much serious research had been done, and that a scandal was brewing. I am an electronics engineer, but also aware that there is more to the universe that we don’t know then what we know. My hobby at the time is designing antennas. The impedance of free space is 377 Ohms, a curious result that is derived from analyzing the propagation of electromagnetic wavefronts, and bears a suspicious resemblence to conventional transmission lines. The ether would explain this behavior. Greetings Etruscan, and welcome. Thanks for that, please tell us more about the resistances and what they may mean. Is this referring to what is known as the ‘permitivity of free space’? What factors affect it? Proton density? Welcome Etruscan, Like many students of electrical / electronic effects, I have reached the conclusion that there must be Aether for the probagation of EMF effects thru free space. Over 50 years of study lead me to believe the following. The Aether exibits features of; it is in general chaos, it is magnetic, it has charge, it causes the effects of mass / inertia. P.G. Yes, this would seem to be a viable explanation for how we see enrgy manifesting the properties of both particles and waves. Point-like concentrations in the wider flow, like eddies and whirlpools in the sea. There are several quite well developed theories of matter which treat energy concentrations which manifest as mass and energetic ‘particles’ as standing waves in energy flows. Yes, the duality of wave-particle phenomena has always been an annoying glitch in what should be a seamless relationship. I have here before me a copy of ‘Modern Electronic Communication” by Gary Miller. It states that the characteristic impedance of any electromagnetic wave-conducting medium is given by Zo= sq rt (u/e), where u is the medium’s permeability and e is the medium’s permittivity. For free space, u = 1.26 x 10-6 H/m and e = 8.85 x 10-12 F/m. Substituting yields the value of 377 Ohms, but one has to wonder how a vacuum can actually support these parameters without some form of hitherto undetected medium. In his own way, Einstein appears to support the concept. Perhaps it has been mislabeled, and certainly misunderstood. Yes, at the time of his education, Einstein was trained that aether was needed to transmit EMF effects. but his peers dismissed aether as an old fashion idea and pushed quantum machanics as the new thing that did not need aether for explaination of effects over distance. At first he resisted but later accepted the fact that it made him famous. Aetheral physics goes in or out of favor every hundred years. It is about time for it to become accepted again. There was a recent attempt to form a viable quantitative Aether physics, I was in email convo with David Thompson for a while. He had a Yahoo Group to discuss it. P x V= n RT; where n=G/M. Above you are asking the as for the “solvent” though a mechanics of smashing field particles would not require it. What would it be “gravity”in such a condition?, if the EU is the right explanation, wouldn’t it be then that, in the vicinity of a particle surface, as we on earth’s ground, a static electricity attraction, be explained or named as gravity? fascinating. the speed of light widely observed to not be constant (refraction), yet we build the big bang, dark matter, dark energy on the assumption it is. Yep, I borrowed from that link for this article, and credited James de Meo above. I had a long argument on WUWT with Leif Svalgaard about it. He’s in denial. If you have not yet read any of Harold Aspden‘s work on the aether, you are missing a treat. He’s a theoretical physicist, electrical engineer and inventor from Southampton, Hampshire, England. Although Harold’s health seems to have taken a turn for the worse recently, his published material is still being made available here. More than 50 years work is presented there, and includes (a) his theoretical derivation of the fine structure constant to parts per million accuracy (before it was accurately measured), (b) explanation of gravity in terms of electron charge, and much, much more. His aether model has essentialy two components, (i) a rigidly coherent cubic lattice of electircally charge particles immersed in (ii) a electrically charged ‘soup’ of opposite charge. He likens it to a ‘liquid crystal’ material which can become enmeshed with matter and rotate with it (as in a planet) or otherwise remain fully coherent in its cubic lattice form. It certainly explains more of the mysteries of physics than the “Standard Model”. I believe that Einstein never deserted the aether theory; he simply found that he could ignore it by using Minkowski’s mathematics. I am also convinced that Herbert Dingle showed up the underlying flaw in Einstein’s work in his “Science at the Crossroads”, in 1972. Dingle’s challenge was never satisfactorily answered, as far as I have been able to determine. He said the he did not “need” aether to solve his equasions and not that he felt it did not exist. The funny cranks are the ones still believing it’s a vacuum out there. Despite all the copious evidence that our planet floats in a soup of hydrogen ions, electrons and their associated magnetic fields. Did you know that while our telescopes can detect hydrogen ions, they can’t detect hydrogen molecules? The molecules are more abundant in space by a factor of around 10:1. It’s surprising this isn’t more widely known and considered, given the fact hydrogen atoms prefer to go around in pairs was about the first thing we were taught in junior school chemistry class. The speed of light in vacuo is a theoretical calculation, not an absolute empirical determination. Miller’s experiments show it’s not quite constant, and that the anisotropy is consistently from the same direction. Galaev confirms it. “Experimentum summas judex”. Experiment will be the judge. See the light bending thread too. Miller’s experimental result doesn’t necessarily mean the solar system is whizzing through space at 208km/s towards Dorado. But it does mean there is more to find out, and Einstein didn’t peg it completely. One idea is a variation on the ‘tired light’ hypothesis: the forward propagation of light through Hydrogen atoms suffers a delay. No less energy afterwards, but the delay means a greater concentration of Hydrogen in free space to one side of the solar system will give the anisotropy Miller and Galaev observed. By the way ‘MK’, you get to stay on moderation, so you’ll have to wait for your replies to be checked for further ad homs etc. IMO, I believe the medium of space is a uniform super-fluid hydrogen. I have thermal images of stars showing attenuation of light, as density of EMR decreases, so does frequency with the elongation of the wave. Light waves behave identically to sound waves in earths atmosphere. It is well proven that light has boundaries to the distance it can travel. This is confirmed by the observatory in Texas. To send a signal to the moon and back the they had to boost the signal to 1 megawatt. The return signal was extremely faint. The attenuation was so bad they barely received a signal. Mythbusters exposed that little fact. Therefore, due to attenuation, the speed of light cannot be a constant and space is most certainly not a vacuum. In fact, light from stars beyond our sun would never reach the earth, due to attenuation. The higher the frequency of EMR, the faster it travels. Also, the four forces are discovered to be only force, through observation of our solar system. The stronger force of light speed and gravitation are closest to the sun and the weaker force and slower speed of light towards the outer bands of the EMR wave. In other words, everything moves faster near the core and slower with distance. This is proven by the speed of planetary orbits. If light and gravity are produced by the same EMR wave, which it is, then when gravity slows so does light. That’s very interesting comment, thanks for stopping by. It sounds like you have a well thought through alternative cosmology coming together. For readers benefit (and mine!) please could you expand acronym’s (like EMR to electromagnetic radiation) the first time you use them. The laser signal to the Moon is bouncing off one of the beautifully made prsim blocks the Apollo missions left there. By the time it returns to Earth, the beam is around 60km wide (from memory). I think that will account for a lot of the loss of strength in the signal, but please expand on what you said if there is more to tell on this issue. Hey Tallbloke, Thanks for your reply. I apologize for the acronyms. You pointed out two factors in your last paragraph. The return beam being 60km wide, which resulted in a loss of signal strength. This of course is attenuation of the signal/energy. How can the “density” of energy be a variable, the frequency of energy be a variable, and the wavelength of energy be a variable, and yet the speed of energy remain the same? That doesn’t even make sense. Furthermore, the distance an energy wave can travel is dependent upon the factors mentioned above. We can look at the stars in the night sky and visibly see the boundaries of light. All the stars are surrounded by darkness, in every direction. Therefore, the area between the stars and the earth is also darkness. The light didn’t just stop; it attenuated/slowed down to a stop. Also, we see that planets near the sun travel faster in their orbit, such a mercury; and the planets further away travel slower in their orbit, such as Pluto. The size and mass of the planets do not dictate their speed in orbit. The strength/speed of the wave dictates the speed of a planets orbit. Solar Radiation/Electromagnetic radiation produces what we call the four forces. On the large scale of the solar system we see how these forces work and are the same thing, due to how the radiation interacts with the matter of space. We observe a stronger force in the center/core of our solar system and the force weakens with distance. The electro-force pushes out while the magnetic force pulls in, at equal pressures/forces. This is what keeps the planets stationary in their orbits. A planet can get only so close to the sun and only so far away, due to equally opposing force of the same wave. The end of the orbiting wave is also the end of the light wave. So we see that both gravity and light slow down with distance from its thermal source. I hope that clarified some. Thanks! This is very similar to the Miles Mathis theory of gravity being composed of two components hidden within Newton’s law. A repulsive force based on particle bombardment, and an expansion or acceleration which can be regarded as equivalent to ‘attraction’. Ray Tomes points out that the planetary orbits lie at the nodes or subharmonics of the nodes of a 5 minute lightspeed wave emanating from the Sun. Author of more than 100 papers in the field of Electron Spectroscopy. Visiting, Adjunct, Professor, University of Ottawa, 1990-99. All interesting stuff, and well worth studying. The field is wide open in my opinion. Red shift and blue shift could be caused by the various temperatures of the stars. I found that high temperature white light has different hues of yellow, red and blue, depending on temperature. This white light is different from the visible light spectrum, but is on the gamma radiation scale. That just came to mind while reading Paul Marmet. Miles Matthis was a bit confusing. He seems to be attributing planetary mass to location and speed of orbit, with gravitational influence of one planet upon the other. I find no pattern in the mass of planets being a contributing factor, nor any evidence to gravitational influence between planets. If the planets were aligned by size from small to big or big to small that would be different. Thanks for the links. It was interesting reading. interesting observations on star colour/temperature and red shift, thanks. Has anyone done statistical studies on large samples? You might need to read Mathis’ gravity paper to ‘get it’. He points out that the three planets in the most stable orbits are indeed all the same apparent size from the solar surface. He has a theory to account for Saturn, but the outer two gas giants are a bit of a puzzle for his hypothesis I think. Still, he is an advance on Bode in my opinion. I don’t if any studies have been done on it. It is well known that stars come in different sizes and temperatures. It is also known that high temperatures yield variation in hue. I don’t know if anyone ever even considered connecting the dots between the two. One problem I have with Matthis, is that the planets orbit at different speeds and are never even close to each other except in passing. Do you have a link to his gravity paper? Mathis thinks Saturn had a close encounter with Jupiter at some point in the past and that this is the reason its orbit is currently growing. An after effect of the EM repulsive shove-off it got when it came too close to the big boy. He reasons that Saturn was trying to ‘get below Jupiter’ to find its natural place in the solar system. I certainly have to back off from the writings of Mathis. It seems he attempts to create a link between everything, trying to force everything to fit. I believe what he attempts to do is not as complicated as he makes it out to be. I do find an interesting correlation with power lines to the working of electromagnetism, which I have previously considered. A magnetic (gravitational) field is produced as electricity passes through a conduit. This is the same interaction we see with Solar radiation. The opposing forces in action are reproduced on a small scale. What many don’t realize is the same functions take place within living organisms, and all particles, due to a thermal core. When we die, we become cold and begin to decay. It is the thermal energy within us that holds us together and gives us life, just as is the case with particles. Yeah, I take Miles with a pinch of salt too. I do find some of his ideas interesting though, and I love his writing style. A true iconoclast. Is gravity the same force as magnetism? Gravity still operates on planets with no magnetosphere, right? I consider gravity to actually be the equal pressure between the opposing forces of EM. Wherever you find a thermal core, you will find EM and therefore gravity. Interesting hypothesis. Have you worked out how it could be tested experimentally? Not in the context of your question. I am persuaded that even the hydrogen particle has a thermal core, even at rest. But it is too weak to measure. We do know that the earth has a thermal core and produces a gravitational field, proven by the orbit of our moon. In other words, I haven’t got the foggiest idea of how to even create such a test. Even a burning candle emits an EM wave, but the energy is too weak to produce any measurable gravitational field. I don’t know if this is of any interest to you, but you might enjoy it. Genesis 1:3And God said, Let there be light: and there was light. 4And God saw the light, that it was good: and God divided the light from the darkness. 5And God called the light Day, and the darkness he called Night. And the evening and the morning were the first day.6And God said, Let there be a firmament in the midst of the waters, and let it divide the waters from the waters. 7And God made the firmament, and divided the waters which were under the firmament from the waters which were above the firmament: and it was so. 8And God called the firmament Heaven. And the evening and the morning were the second day. According to the scriptures; space is a fluid medium called water. This does not refer to H2O, but rather a clear fluid substance. Also, when God separated the light from darkness, he established the boundaries between the light and the dark of space. Even today when you look up at the stars in the night sky you will see stars surrounded by darkness. Darkness is what separates the light of distant stars from us. Their light is forbidden to reach us by the order of God himself. For some odd reason people accuse me of making this up, even though it was written 3500 years before I was ever born into this world. Scientists reject the scriptures for exotic theories of an alternative reality. [snip] They can all accuse me of being ignorant of physics. That’s fine because I am. I do not understand all things of the universe. However, I do believe in God who created all things and that his word is truth. The truth of all things is found in their beginning. If you don’t understand the beginning of all things, then you will never understand the truth of anything. I’m a graduate of the history and philosophy of science, and so yes, I’m interested in the ways that people several thousand years ago conceptualised the cosmos. If they and you believe they were inspired by something which directly revealed the Truth (with a capital T) to them however, then this is an article of faith, not a scientific truth (with a small t). Science progresses by building on and rejecting parts of what has gone before as accepted knowledge. Religion has a history of suppressing scientific thought, and insisting on the eternal truth of scripture, albeit with some concessions and caveats in more recent times. I respect your efforts to reconcile science and theology, but this is not an appropriate thread for that conversation, despite the early conception of ‘the waters’ being analogous to concepts of ‘the aether’ which were current in scientific thought until comparatively recent times, and therefore ‘on topic’. Please don’t take offense because I felt it necessary to edit out some references in your comment to specific strands of religious thought, and non-thread relevant scriptural claims. I have no intention of allowing a flamewar between sects to develop on my blog. 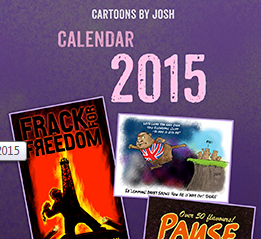 There are plenty of more appropriate websites for those. Please make use of them, and thanks for your thoughts on physics here. then how do we see the stars? Good luck in your personal quest for knowledge. I don’t take any offense. I thought that was a grand correlation to our discussion. If space is a fluid medium/aether then the speed of light would not be a constant due to the entropy produced by particle collision. Under both scenarios the light of distant stars would not reach the earth. So how do we see the stars? That brings the intromission theory of vision into question. It is the intromission theory of vision that compels people to reject the aether theory for a material/pressure vacuum of space. Would you consider it scientifically plausible that solar radiation from trillions of stars is converging on the earth and bombarding your eyes at 186,000 m/s? I think I’d rather go with the intromission theory and find a different way around the tired light problem which still explains redshifts, a la Paul Paul Marmet. The Aether doesn’t have to be a fluid composed of a light blocking medium. It could be more akin to Miles Mathis’ underlying EM field. Sure. But rather then thinking of it as converging specifically on the Earth, think of it as spreading in all directions from each star, and observers on the Earth intercepting those photons from each star that happen to be heading our way. Light does certainly scatter in all directions from each individual source. But light from multiple sources, traveling at a constant speed, would converge together on any object in the center of all the sources encircling it. The intromission theory itself requires scattering light to converge at the eye, and both eyes equally. How many photons are required to produce a single image? How many photons required to bombard your eyes for everything we see at any given moment, even miles away from us? ROFL! How about none? I’m serious about this. The visible light spectrum is a higher frequency than microwaves are. What happens to an object when microwaves are converged on an object? What happens to food placed placed in a microwave oven and bombarded by the convergence of microwaves? Well sure. Go outside on a sunny day and feel the warmth of the Sun on your bare skin. Eyes are constantly lubricated by secretions from tear ducts and presumably evporation takes place which cools the surface of the eye. There are a zillion tiny blood vessels acting as temperature regulators in each eye too. Anyway, microwave ovens have the wavelength tuned to one which excites water molecules particularly well. This is well outside the visible spectrum. In respect to microwaves, that is what happens when you increase the density of the particles. Increase density, and you increase frequency, which in turn increases temperature. Convergence of light creates the opposite effect of scattering. You need to really think on these things. It will change the way you see things. But you are not changing the wavelength, just the frequency with which photons at the same wavelength reach the eye, yes? Anyhow, I don’t know enough about eye physiology to debate this really, so as you say, I’ll go and learn more and think about it. You can’t change the frequency without changing the wavelength. Wavelength is the measure of the frequency in cycles per second. Increase the frequency and you shorten the wavelength. We’re back to angel counting again. Are we seeing many discreet waves or one homogenous wave? When you talk about an ‘increase in particle density’ this is a bit ambiguous I think. Maybe I should have said “energy density”, which is simply an increase in the quantity and charge of the particles. Waves are composed of individually charged particles. A particle outside of a wave is at rest and therefore holds no charge. Photon is an abstract/hypothetical particle pertaining to the transfer of energy between particles. The EM wave is simply thermal energy in transit between particles. This is why temperature increases with frequency. Etruscan (@ September 13, 2010 at 4:00 am) rightly describes “the duality of wave-particle phenomena” as “an annoying glitch in what should be a seamless relationship”. I agree. This concept is a dead give-away that something is radically wrong with the foundations of ‘modern’ physics. Any philosophy which can tolerate thought processes which give rise to such a self-contradictory “duality” is not dealing with this universe but an imagined un-reality. Nature is not “dual”; it is “single”. There are not many universes; there is only one, so far as can be observed. If you think you are seeing two fundamentally contradictory things in the same place at the same time, you are clearly under the influence of ‘something’, but it is neither logic nor reason. Within his aether model (a simple cubic lattice of charges suspended in a uniform charge density of opposite polarity) Aspden has done a very convincing analysis which strongly suggests that the “photon” phenomenon is not a travelling massless particle, but simply the stationary rotation of the smallest cubic sub-unit of that cubic aether lattice, due to excitation by incoming EM wave energy. His suggestion is that the natural frequency of such rotation gives rise to the quantum ‘E=hv’ or ‘energy packet’ concept. The ‘quantum’ is simply the energy threshold level, below which rotation of this smallest aether sub-unit cannot occur, and at which, rotation occurs at a natural frequency, governed by the nature of the cubic lattice structure. There is much more to Aspden’s cubic aether lattice structure than will fit (or is appropriate) here. It was his explanation of gravity which finally convinced me that he is the true successor of Sir Isaac Newton. I believe his works stand as a portal to the new physics, and will endure long after the mathematical imaginings of Einstein and the multiple-universe daydreams of Hawking et al have been relegated to the dustbin labelled, “How did anyone ever fall for that one”. I agree with most of what you posted there, Oz. It is certain to me and others that many pseudoscientific exotic theories are the product of false presupposition such as photons, space vacuum, constant speed of light and intromission theory of vision. None of these theories fall under the umbrella of “empirical science”. This problem of “waves” of energy is the cause of many misconceptions. Tesla had a devil of a time getting this through to Marconi. We are talking of waves of compression. 3 dimensions and not 1/2 of 2 dimensions. In a flat representation 2 sine waves back to back, compression – decompression. As to a “cubic lattice” aether, god does not work in cubes. God works in spheres. Spheres spinning in chaos, Tyner go back and read your bible. Not a bad primer for science if you ignore the “spin”. P.G. the cube in the article referenced, was not a literal cube but rather a conceptual cube representing a square area. And I’m not aware of anyone denying the “spin”. Which god is that, P.G.? Aspden’s fine structure constant derivation (from his cubic lattice stucture) agrees perfectly with the one that is measured out there in the real world. More remarkable still, he calculated it before it had been measured to the same level of precision as his calculation. I haven’t checked every comment but does anyone here know much about Buckminster Fuller of Geodesic Dome fame? I have two large tomes of all his writings. He gives the structure of the aether as being a framework of interlocking tetrahedrons and octohedrons. The vertices of these shapes correspond to the centres of spheres in a closest packing scenario (i.e. most compact, efficient grid possible). He refuses to call distance ‘distance’, insisting on calling it ‘frequency’ , underscoring the transmission of particles thru the grid. He states categorically that when the structure of space is discovered it can only be this particular grid of his. It is the most efficient structure and is related to the G Dome because the G Dome incorporates certain elements of the aether grid and transmits the weight of the dome tangentially at each point on the surface. This, he says, is related to the tangential properties of orbiting satellites, orbiting in successively higher gravity ‘shells’ (all joined at a miniscule level, of course). Both the G Dome and the satellite counter a force by resisting it at 90 degrees, which is not so strange when you consider that satellites do stay up and precession acts at 90 degrees and is well understood. His writings are heavy going but I think a large part of the answer is in there somewhere. Please comment in reply. I’m always interested in this subject and want to see if anyone is building on his (or similar) work- or discovered this stuff independently. There’s an Aether? Really? Nobody in the West noticed it until now? That’s a tall claim. I’ve had a look through Galaev’s paper. Can’t say I understand the math of it although the data looks encouraging superficially. There’s still just a few oddities that don’t quite add up. 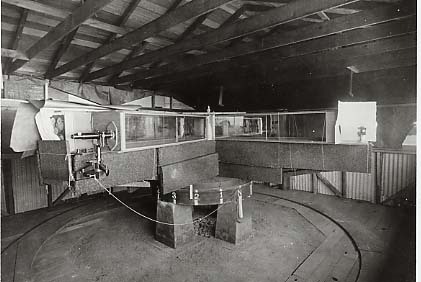 How does Galaev get away with counting the Mt Wilson experiment as being 1830m “above the earth’s surface” and his own experiments as 4.75m height, whereas in fact the Mt Wilson experiment would have been between 1m and 3m above the ground at site altitude of 1830m and his own experiments were on the southern suburbs of Moscow at altitude of 190m AMSL. He’s changed the definition of “height” part way through the data series in the graph. That’s beyond cherry picking, it’s mixing apples and oranges to make orange juice. Here’s what the “height effect” should look like when graphed. Not much of an effect after all. He is also ambiguous about the experiment height of his radio observations. 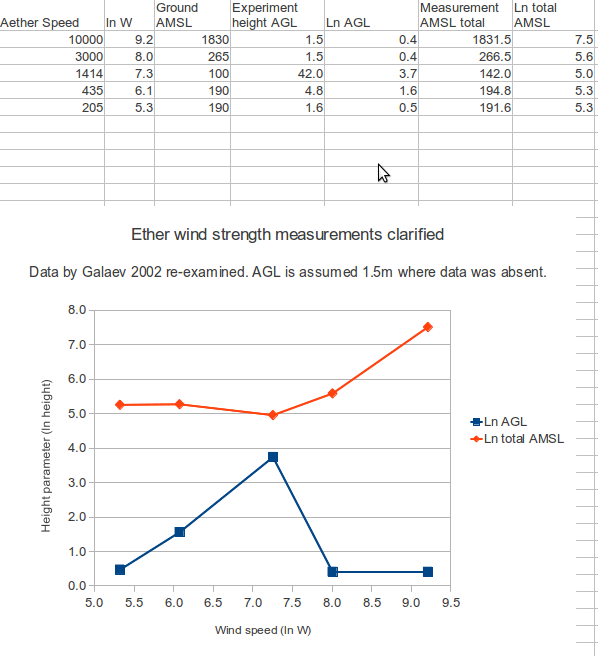 In that later paper he has a data table giving 42m height (AGL??) but in the text says the measurement was 30m AGL and 130m AMSL, implying a location 100m AMSL. Whereas in his earlier referenced paper on radio frequency measurements he says it was done in the suburb of Харьков, which is 190m AMSL. Einstein said if there was an aether then relativity would be wrong. Therefore, there is no aether. Interested to see this linked in your comment on WUWT today, TB, and more interested after reading it. At the risk of apparently only turning up here to give you obscure links (last time was Ray Tomes, if you remember … 🙂 – there are some more investigations into aspects of “the old physics” at http://aetherometry.com/ (like the name!). Mostly in the way of selling you books, but you can always press the local library to do the actual buying. The aether definitely seems to be still showing signs of life, considering that it’s an idea that’s supposed to be dead and buried – perhaps not surprising given that most practicing physicists are keenly aware of the inadequacies of the Standard Model. [Reply] thanks, that’s interesting. What are the rotation parameters for the local group, and what is Earth’s relative position within it? [Reply] I’ll take that as a “don’t know” then. Anyhow, I’ll update the piece with your observation and discuss entrainment, which Miller noted. Wrong interpretation. Correct would be that that is an irrelevant straw man. The Earth, the solar system, the Milky Way Galaxy and the 20-odd other members of the Local Group are gravitationally bound and move together as a unit with respect to ‘space’ [as defined as the CMB]. Within that unit, there are lots of individual movements: rotation of the group, orbit of Milky Way around the barycenter of the group, orbit of sun around Milky Way center, orbit of Earth around Sun, orbit of observing satellite around the Earth. None of these matter. Also remember that the Local Group has its own movement within our local cluster and so on. Also remember that all galaxies [apart from these local movements] essentially are at rest with respect to ‘space’. Miller is just wrong. Had he found the 600 km/s it might have been worth something, but he didn’t, so is simply falsified. This article (in French) is very true and well worth the effort to translate! Reading PG Sharrows theories today and later on came across this article (via the Register)http://www.nature.com/nature/journal/vaop/ncurrent/full/nature10974.html#/contrib-auth . It relates to the observation of spin, orbit and charge separation of electrons. Newtons action at a distance is equivalent to Einsteins GR. Riding on a beam of light at velocity c, GR predicts time dilation and length contraction is infinite. From the beam of lights point of view GR says it travels infinite distance in zero time – Newton’s action at a distance. What Einstein saw was that even though we have Newton’s action at a distance, we the observer are limited by propagation speed in how the event appears to us. What Miller observed is that propagation speed is not as constant as first believe – which only seems reasonable. We know that light appears to us the observer to change speed depending on what it travels though and we know that “empty” space is not at all empty. Dark energy, dark matter, and the gravity anomaly of the rotation of our own galaxy show that space is not empty. Whether we need to postulate an aether, I cannot say. Personally I am more comfortable with the notion that our observable universe exists within the gravitational field of a much larger parent universe, which gives rise to the unexplained problems of dark matter, dark energy and the gravity anomaly. Einsteins cosmological constant results from the observed effects of the parent universe. While it is said that nothing can escape a black hole, that is not technically correct. Gravity is not affected by gravity, which raises interesting questions about the propagation speed of gravity – still an open question in physics.